Khanh Hoa (VNA) - Vietnam’s first astronomical observatory will be put into operation in September in the central province of Khanh Hoa. The Progressive Corporation International JSC (AIC) – the contractor of the project - on August 18 transferred the observatory to the Vietnam National Space Centre (VNSC) under the Vietnam Academy of Science and Technology. 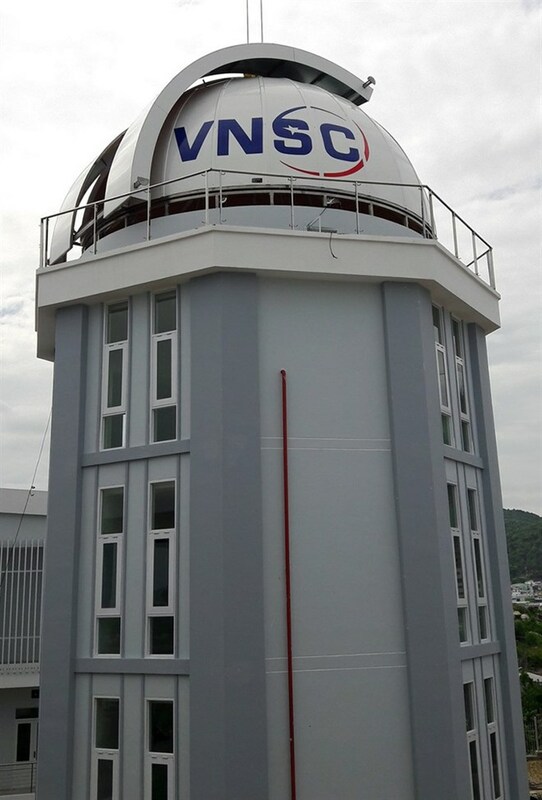 VNSC Director Associate Prof. Dr. Pham Anh Tuan said the observatory will serve basic studies on optical astrophysics, disseminate knowledge of the universe in the community, and support human resource training in astrophysics. It will also promote cooperation with researchers at home and abroad in the field, he added. With an investment of 60 billion VND (2.64 million USD), construction of the observatory began in 2014 on Hon Chong islet in Nha Trang city. The observatory is equipped with a space telescope of 0.5m in diameter inside a dome that is 9m in diameter. Once opened to visitors in late September, the dome can accommodate up to 60 people who can observe space or watch movies about planets, stars and history of the earth.